Primarily, my nightstand for the month of July is covered in Narnia because July is when I host the Chronicles of Narnia Reading Challenge and I'm READY for it! Most of the books I want to focus on in the month of July all seem to have a similar theme to them: they either involve England or World War II. Lady Almina and the Real Downtown Abbey. I've already begun reading this one and I'm really enjoying it! Their Finest Hour, by Winston Churchill. Since I didn't accomplish this read during the Spring Reading Thing Challenge, I'm going to conquer it alongside Narnia. Which I kind of think is fitting (and makes me want to read The Lion, the Witch and the Wardrobe again)! The Queen: A Life in Brief, by Robert Lacey (which I accepted for review). I think I shall leave it at that for this moment. No doubt there will be other titles snuck in here or there, but these are the ones which I am focused on primarily. Off to find out what's on YOUR nightstand! Can't wait to hear about the DA book! :-). 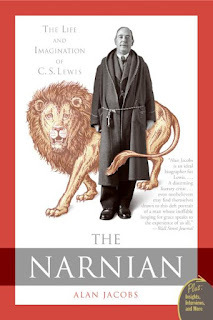 And I MIGHT attempt a nonfiction title, too, for the Narnia challenge. Might. They all seem like really great reads! I might have to look up The Narnian this month though...will see if I can squeeze another in. I'm really curious about the Downtown Abbey one! I still haven't watched the show, but I do like Downtown Abbey type books. Loving all the books about England! I love your British focus. :) Just in time for the Olympics too! Great list, Carrie. I still haven't seen the Downton Abbey show, but I want to. I fully intended to link up this time...even remembered. Just haven't found the time! I'm intrigued by the Downton Abbey book too! Can't wait to hear your thoughts on it! Also, I love your Narnia challenge! (although I'm not going to take you up on it) They remain my favorite books, although (not surprisingly) the movies were a huge disappointment. I tried to ban the children from ever seeing them but my husband felt that was unreasonable. I really want to read that Winston Churchill series some day! The Downton Abbey book looks really good! We've been listening to lots of Narnia here - two books left to go. It's the first time my daughter has heard them so it's extra special. I will get to it this year. I remember hearing good things about it last year. I haven't watched the TV Downton Abbey (some day...) but that book looks good. Oh my goodness! How could I have forgotten!? 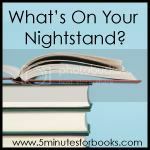 Ok, take my "Nighstand" post and mentally add "A Lot of Narnia stuff" hahaha! The "Lady Almina" book is quite fascinating! I enjoyed the historic view into an era of Highclere Castle and the lives of the 5th Earl and Countess of Carnarvon. Though it has very little to do with the "Downton Abbey" show itself but for the setting, there are quite a number of little parallels. I'm just about to finish a BIG biography on Queen Elizabeth and cheering myself to the finish line! 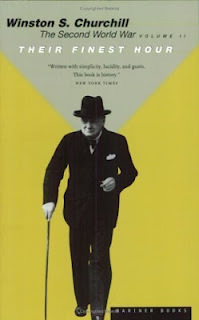 One of these days I want to tackle Churchill's books, but I don't forsee it anytime soon. And I've finally had the courage to join you in the Narnia challenge. I figure if my kids love them, I better read them myself. Looking forward to hearing what you think of the Downtown Abbey book. I have it on my list to read. Interesting list. I wait with bated breath!